On the first weekend of September, customizers, hobbyists and simply motorcycle madmen from all over the world come to the Glemseck. Not only to show their skills, but also to show what the custom bikes can do. Because after the original idea by which the Cafe Racer emerged there are races. Sprint race on the 1/8 mile in K.O. System is one of the highlights of the Glemseck 101. Usually the Customizer itself, but there are also exceptions. Stars of the motorcycle scene are always there. This year, for example, Stuntfahrer May Lin or RoadRacer Conor Cummins will again be there. The races are divided into different classes. For example, there are the StarrWars – races for motorcycles with rigid frames. Essenza is another class that was introduced last year. The “essence of the motorcycle” is the focus here. This class is primarily aimed at the motorcycle companies. For the most part, this is done with rebuilt factory materials, which the manufacturers themselves have either converted themselves, or have commissioned them themselves. Essenza is also a competition of its own. In addition to every race won, the optics also count here. On an own website and also on the Glemseck 101 itself one may evaluate the look of the individual motorcycles. 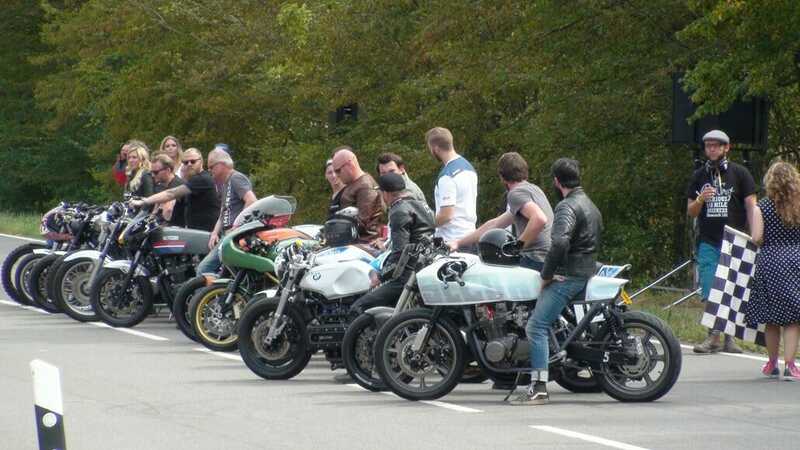 This is not only the Glemseck, but also the Cafe Racer Festival Montlhery (Monlerie) near Paris, which took place in June, comes into the overall evaluation. Here, race driver Katja Poensgen was able to put on the Indian Scout Miracle Mike. In addition to the races on the 1/8 mile, there is again an extremely large dealer mile, live music and more. All this with free entry. As in the past years, I will be here to report for you. If you have the opportunity but should experience it live.